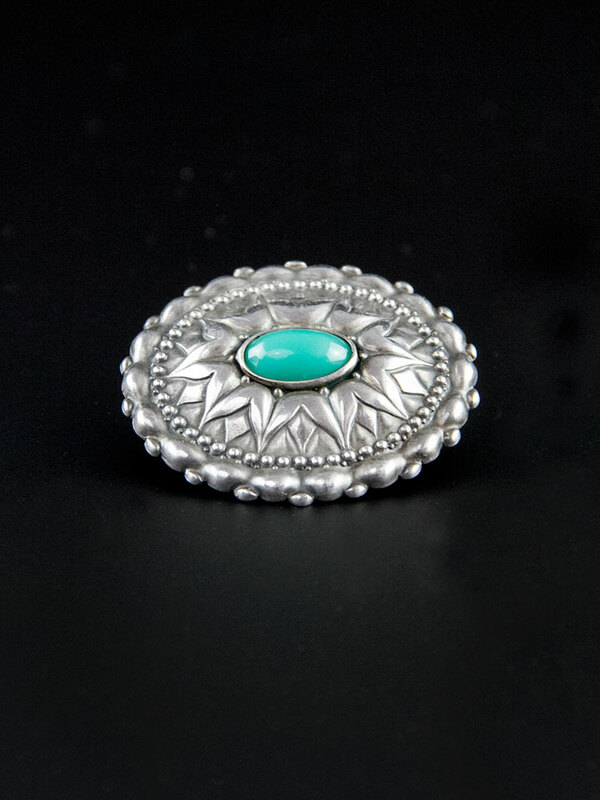 Gorgeous 1950's repoussé brooch. 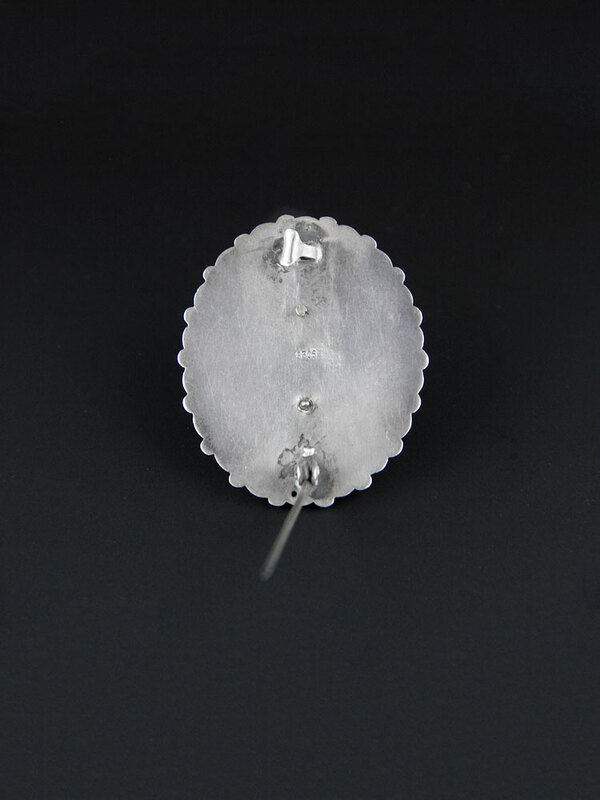 830 silver, intricate southwest puffy concho design with an art glass bead at the centre. Spectacular vintage condition. Shows mild wear commensurate with age, will come with some patina, as level of polish is a matter of taste. Has a handcrafted look to it.